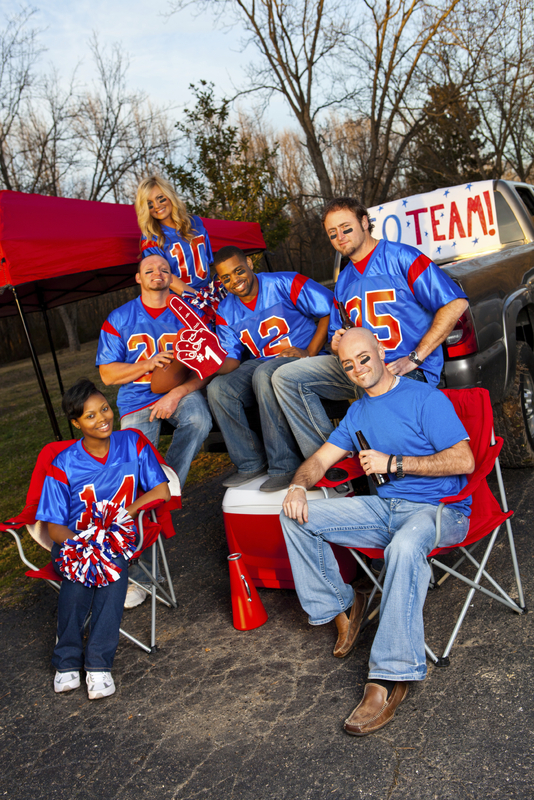 Top 12 Tips for Making Your Next Football Tailgate a Winner! 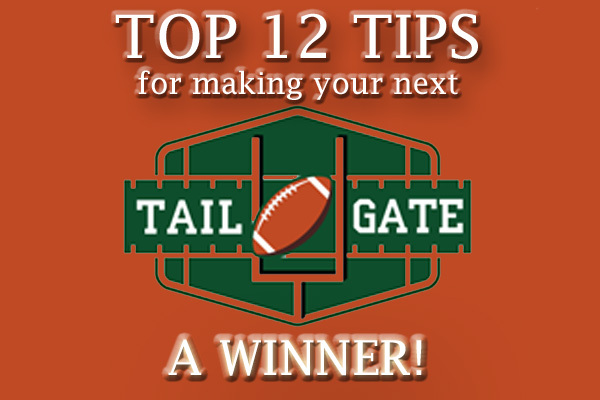 You are here: Home / blog / Top 12 Tips for Making Your Next Football Tailgate a Winner! Football season has arrived and fans everywhere are hyped up for the fun ahead. There’s nothing like sitting in an arena with thousands of similarly dressed and like-minded enthusiasts avidly rooting for their awesome team. One of the most anticipated activities for both college and pro football fans is the tailgate that comes before the game. Grilling out in the parking lot before the game and hanging with your best buds can make a football game even more memorable. Arrive Early – Most tailgaters arrive 3 to 4 hours before the game starts so as to enjoy tailgating at a leisurely pace and give themselves plenty of time for set up and cleanup. Get a Good Spot – Finding the ideal location can make your tailgate party a little more fun. Try to find a space next to a grassy area so you’ll have more area to spread out. Bring a Canopy or tent – Rain or Shine, a canopy comes in handy, especially to escape the mid-afternoon sun. Know the Rules – Check out ahead of time any particular rules the parking lot or facility has regarding tailgates. Some college campus lots may not allow alcohol. Nothing dampers a tailgate like being asked to leave because you inadvertently broke the rules. Make a List – Make a list of all the cooking, serving, food and beverage items you’ll need. Check off items as you pack. Pack all non-perishable items such as paper products (plates, napkins, towels, forks, spoons, etc.) and cooking supplies (grill, charcoal, propane, pans, serving platters and utensils) the night before. Don’t forget a first aid kit, trash bags, rain gear, sunscreen, water, and damp towels in ziplocks to clean hands and face. Plan your Menu – To keep the work the day of the tailgate to a minimum, do as much food prep as possible the day before and keep it simple. Items like marinated shish kebobs, burgers, dogs, brats are easy enough to grill. Even better, eliminate the need to cook entirely by making a batch of pulled pork or roast beef for sandwiches. A tray of hoagies is always a hit with sports fans. Click Here for the Food Network’s Top 50 Tailgating Recipes. Large Beverage Cooler – It goes without saying that you should know your guests tastes and bring plenty of their favorite beverages and water. Keep them iced by freezing a bunch of water bottles. Don’t forget to bring cork screws and bottle openers. Show Off Your Team Colors – Nothing sets the mood better than boldly posting your team colors. You could even fly a team flag on a high pole so your guests can easily find your tailgate location. Needless to say, dressing in a team jersey or sweatshirt is a must. Make Friends with Your Neighbors – Regardless of your tailgate neighbor’s team affiliation, make an effort to get friendly. If they are like-minded, you’ll have a lot in common. If they are rivals, be respectful and keep things cool. Time the Food – Be sure to serve the food 1 to 2 hours before that game starts to give yourself plenty of time to eat, cleanup and cool down the grills. Clean Up Your Tailgate Area – Every tailgater has a responsibility to keep their area clean and free of discarded trash. Be courteous and respectful by cleaning up. Don’t forget to bring plenty of large trashbags. Tri-State Liquors has all your football tailgate beverage needs covered. 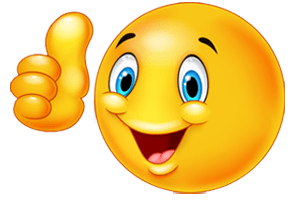 We stock 20,000 cases of imported and domestic beers, huge selection of ice cold kegs, soda, wine, wine coolers, liquor and more! Choose from thousands of beverages at the best discount prices and best of all… NO SALES TAX!